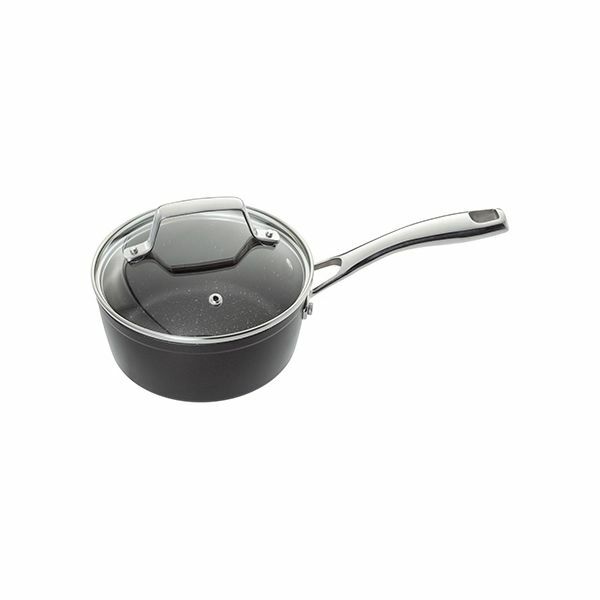 This 16cm saucepan has an induction base to ensure quick and even heat distribution on all hob types including induction. 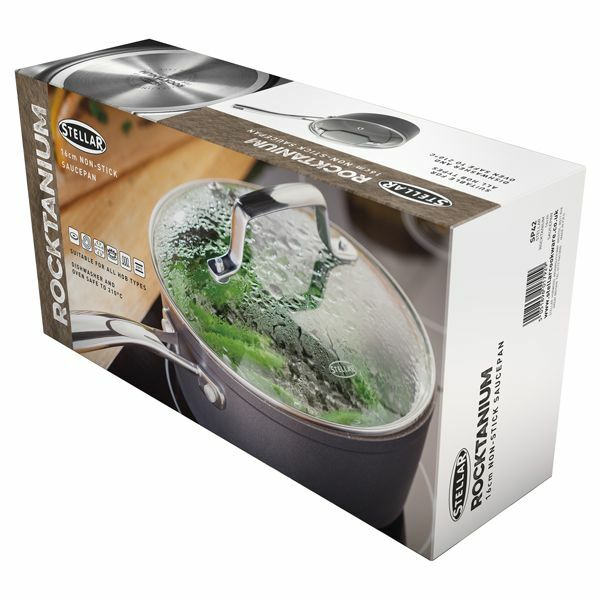 The non-stick QuanTanium cooking surface is scratch resistant making it durable and tough. The stainless steel handles are comfortable to hold whilst providing a firm grip. Complete with a Stellar lifetime guarantee and a 10 year non-stick guarantee.